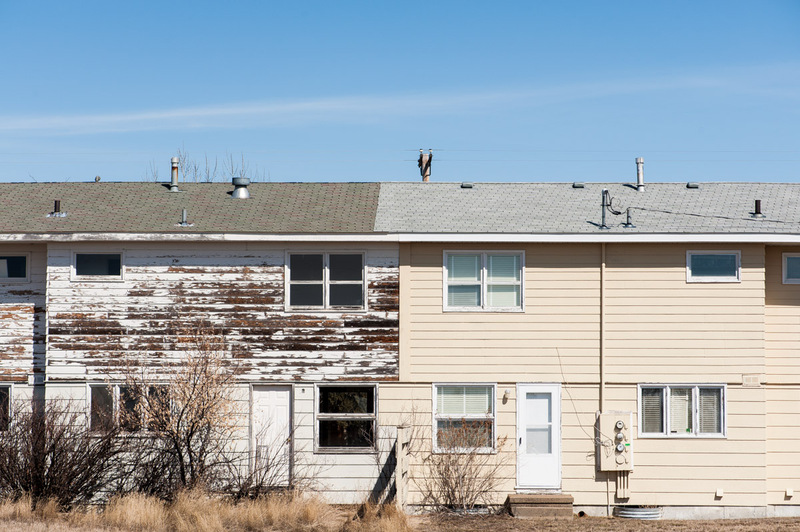 Photographing and writing about the True West from Bozeman, Montana. That’s how my friend Scott McMillion describes the town of St. Marie in the latest issue of Montana Quarterly. St. Marie occupies what used to be known as the Glasgow Air Force Base during the Cold War. Up to 10,000 people once lived here, McMillion reports, but the base was decommissioned in 1968, before construction was actually finished. Some houses were built — and built well— but never occupied. 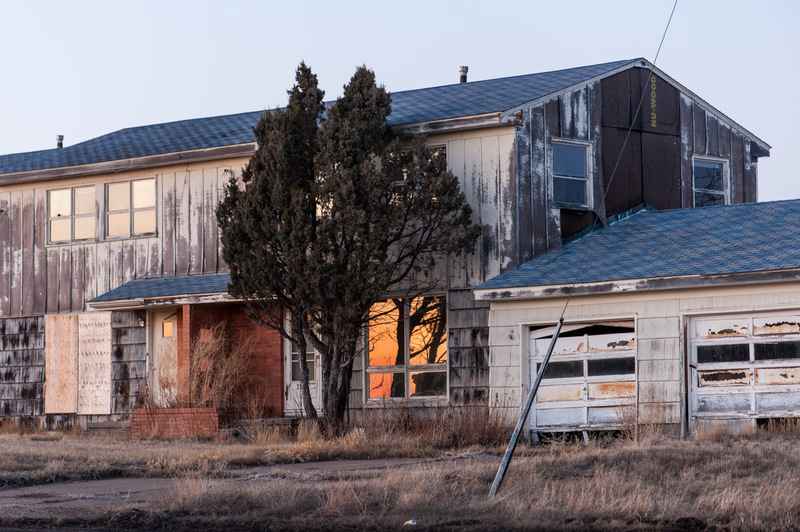 More than 40 years have passed, but much of the town has been untouched by paintbrush or lawnmower. Even signs listing a 45-year-old bus schedule remain standing. Many of the houses are only in need of a few cosmetic repairs to be habitable. Others are in need of much more work. Many in St. Marie claim that a roof, siding and widows are all that is needed to make most of the housing livable. 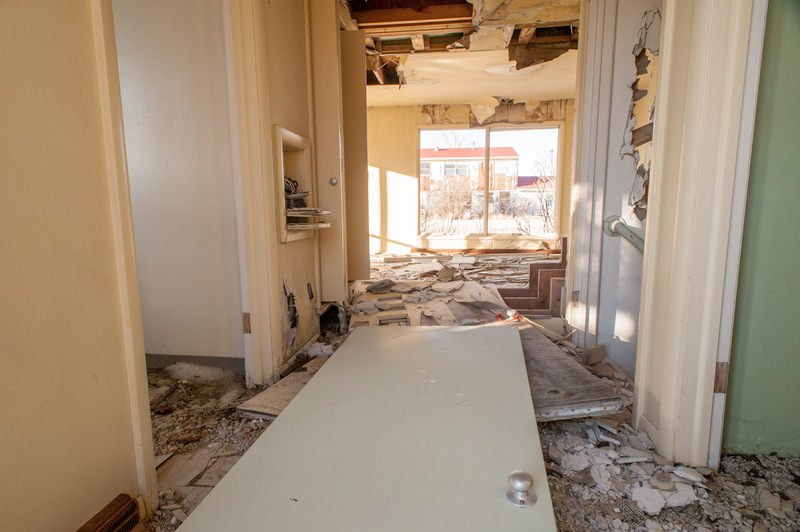 Units that have been fixed up are peppered throughout the community, often sharing walls with units in disrepair. Robert Anderson is one of about 500 people that currently call St. Marie home. Anderson, like many of the others, is a military retiree. He remembers being stationed at the base before it closed. It was the favorite assignment “by far” of his military career. So in 1991, he and his wife bought a two-story duplex and moved back. 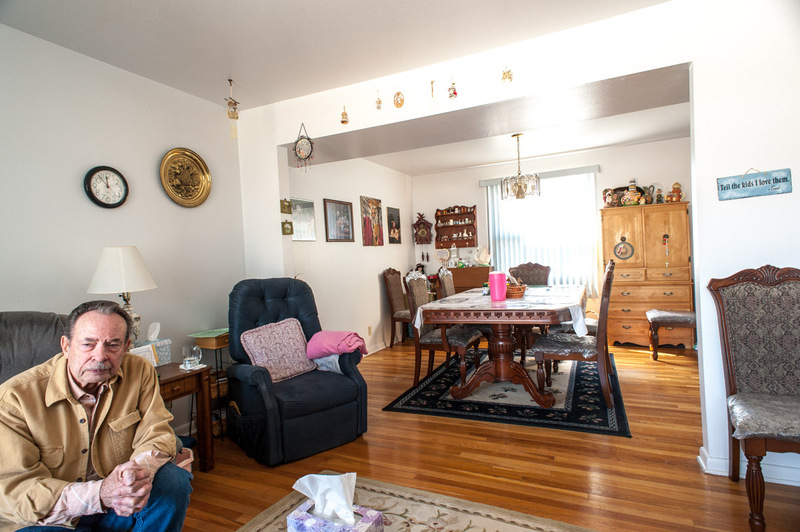 “Where else can you buy a three-bedroom house for $20,000?” he says. That’s not a typo. Twenty. Thousand. Dollars. 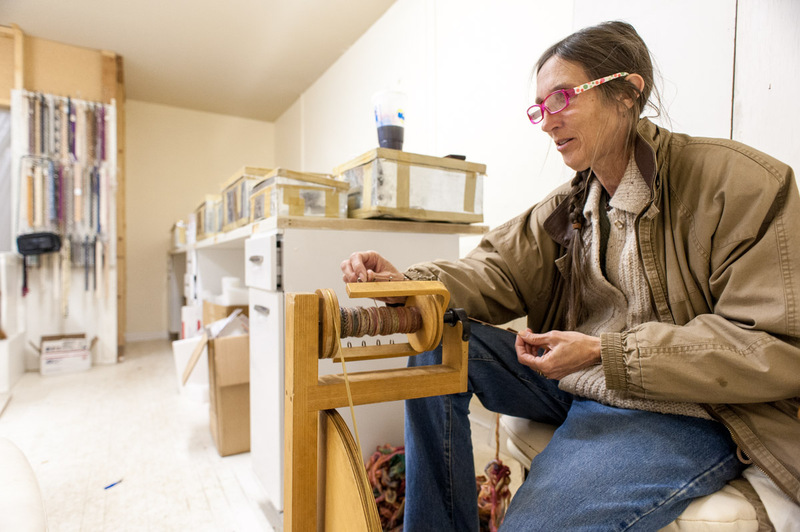 Cindi Laffin spins yarn and sells beads from one of the old buildings in St. Marie. She describes herself as a conspiracy theorist. “I walk a fine line between nut case and ‘you really should listen to me,'” she says. She says she wants to build a self-sufficient community and that she raises 6,000 to 7,000 pounds of produce every year in a garden behind the building. 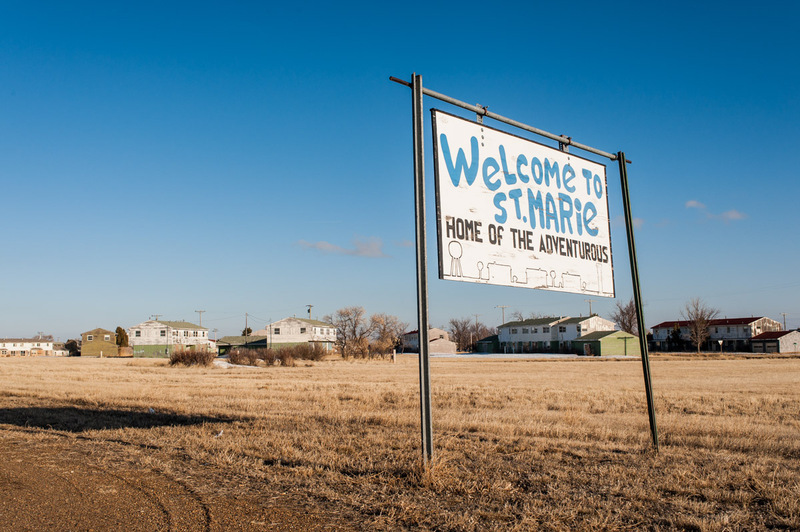 McMillion reports that the future is very uncertain for St. Marie. 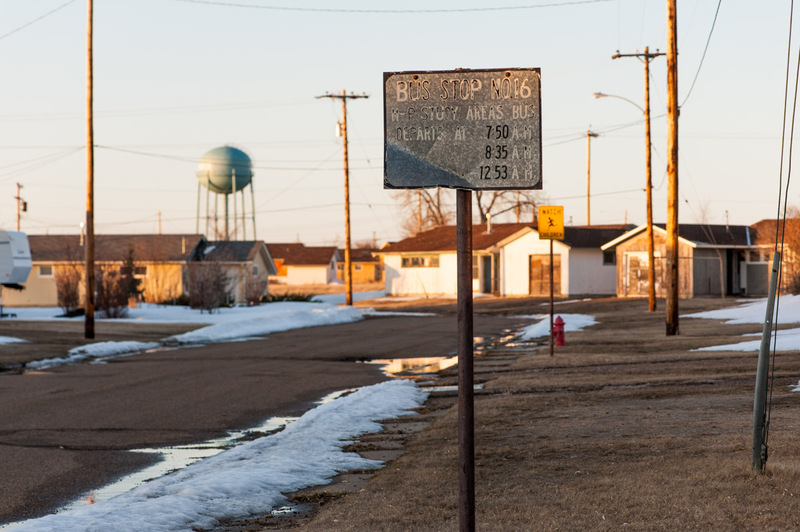 There have always been plans, but none have come through, leaving the taxpayers of Valley County with a mess of property tax records and a potential liability that comes closer with every freeze and thaw cycle. All images on this site ©Thomas Lee.